With the advent of a new type of aircraft known as the “light fighter”, it became increasingly important to reduce the weight of the ejection seat. 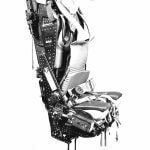 At the same time, it was essential that the reduction in weight should not impair the operation and efficiency of the seat in any way. The construction of the Mk4 seat, although retaining the essential components of its predecessors, was therefore considerably modified. The basic 80 feet per second ejection gun was retained, having been proved to be sufficient for all current requirements, as was the Duplex Drogue system deployed by the half second time-delay drogue gun, together with a 1½ second time-release unit. The conventional type of guide rail was eliminated and superseded by channel members mounted on the sides of the ejection gun. Steel slipper pads mounted on the seat beams located the seat in position in the channels and guided it out of the aircraft on ejection. The seat structure consisted of a framework of two side beams bridged by three cross members, this framework supporting the seat pan and the drogue container; the drogue gun and the time-release unit being mounted on the side beams. The top cross beam took the full thrust of the ejection gun and contained the seat latch mechanism for locking the seat to the ejection gun. The centre cross member served as the attachment point for the shoulder harness whilst the lower member provided an anchorage for the seat height adjusting mechanism. Although fitted primarily with the face screen firing control, an alternative firing handle was fitted in the leading face of the seat pan. This enabled the occupant to eject when conditions of g precluded the use of the face screen control. The comfort of the seat was considerably improved by the design of the parachute pack and dinghy pack alongside that of the seat, instead of trying to use the existing safety equipment. 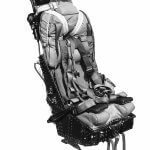 The parachute pack was a back-type, horseshoe in shape, and mounted high up on the back of the seat in the best position for automatic deployment, together with a high degree of comfort. 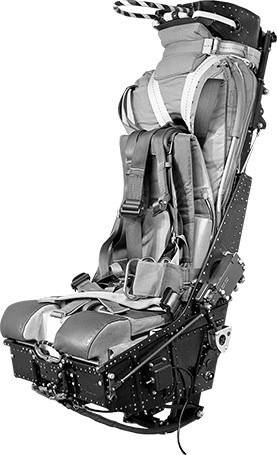 The parachute harness was redesigned to combine with it the safety harness all in one, with only one quick-release fitting which was fastened by the occupant when strapping in the seat, and remained fastened throughout any subsequent ejection until released by the occupant at the conclusion of the parachute descent. 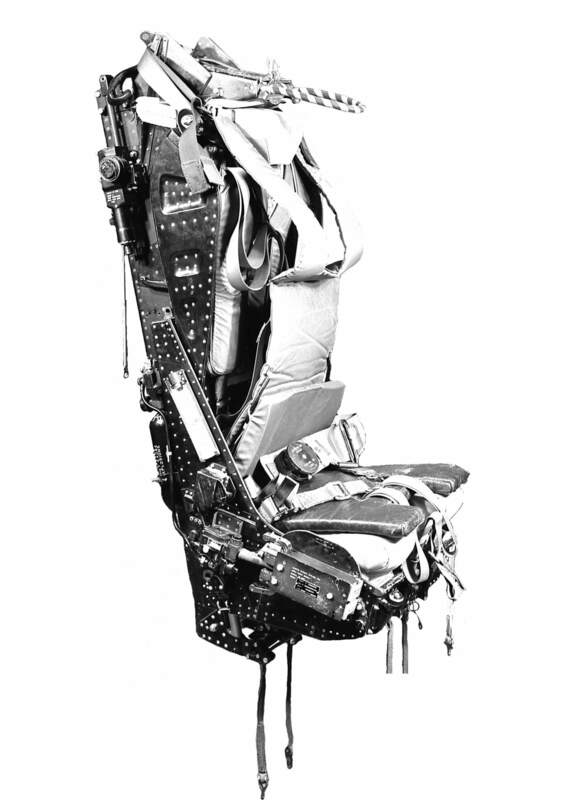 This combined harness was attached to the seat by two locks in the rear of the seat pan and another lock in the back of the seat at shoulder height, the locks being released by a redesigned time-release unit at the correct instant after ejection, through a linkage system installed in the seat. The locks could also be operated manually in the event of failure of the time-release unit by a manual separation lever on the seat. 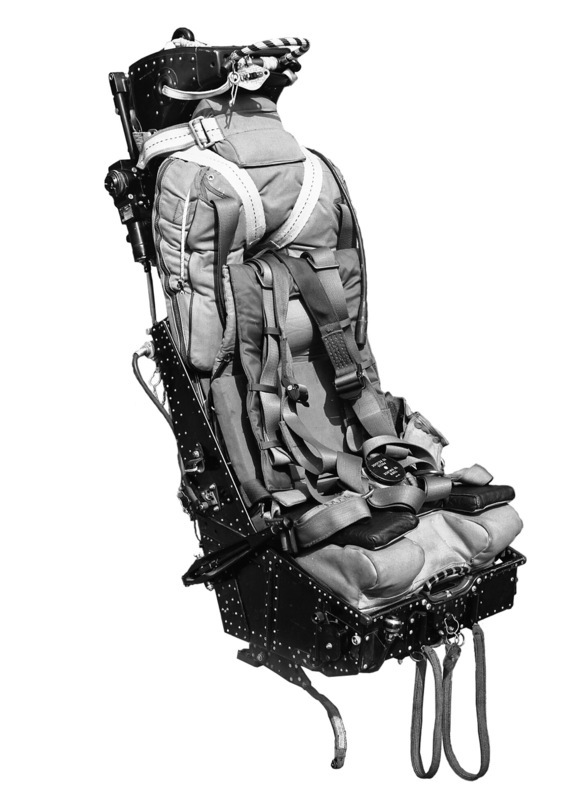 This arrangement of the parachute and harness was also fitted to some of the later Mk3 seats. Freeing parachute from seat. Pilot can then use rip cord to operate parachute.